inRiver PIM gives omni-channel commerce professionals the power to create, maintain and distribute perfect product information to multiple sales channels in multiple languages. I really like having all of the information in one place. Having one source of truth vs different versions of information is priceless. I dislike having to have a partner do things for us vs. us being trained to do it ourselves. I recommend you get a good partner. This product is fantastic--it is definitely a Cadillac, but the partner holds the keys. If you get a bad partner, you will have a bad experience. Really take your time choosing a partner that has YOUR best interests in mind! It took us a couple tries. We are solving the inaccuracy problem. The entire company bought into the importance of PIM and are on board with feeding it correct information. "Just what you need! " The main functions of the program are great. Interacting with the product/ function section is simple but powerful. It is really easy to define all of your product groups within the program without having to make any compromises. Using the upload feature to add images and videos has saved a massive amount of time and drastically improved our workflow. There is no real import or export function allowing you to take your data from other sources or send it to other sources. In can be a little difficult to integrate other data from different software or sources. In river can be an incredibly powerful tool helping change the way your company works. It can save time and increase productivity. The possibilities of improving your data management are endless. We have been able to efficiently and effectively categorise all products and increased the efficiency of the team by drastically improving our data management using inRiver. All members of the team can easily access the data that they need. "Excited about the changes to the way we control product data." In our industry, customers call wanting a specific item with certain attributes. The query function allows the user to drill down to multiple conditions. It will also help with the training process. Still in the early stages and haven't found anything to dislike. We decided to migrate the cloud version before going live. We are still implementing but are pleased with what we have seen so far. 1.Training our customer service department. Creating links so the information is in one central location. 2. Looking forward to using the print channel to create product catalogs. Previously it was manually created by one team member with a single license to the program. The core functionality (of items, products). It's flexible to adjust to most retail product groups. Our catalogue has a lot of different niche attributes, and we somehow made all of these fit into the product model structure of InRiver. The 'fluff'. Some areas seem to ambitious (like some of the merchandising functionality), whilst the core functionality should have gotten more product spend. This is not, however to say that there wasn't enough product spend in the core product. I just think that the additional functionality sometimes 'blurs' the user experience, giving some unnecessary noise. I recommend being very clear on your requirements and vision for the product from the get go. The more input you can give from the very start, and the more you have prepared by means of knowing your product data model at heart before starting to implement, the more your project is likely to be a success. The system is nothing but an optimisation of your current level of organisation and rigidity around your data management. If used to enhance this, InRiver can be a powerful tool to enhance the way your colleagues and customers interact with your products. We solved the business problem of getting quality data onto our site in a standardised format. the richclient app is so far from the web plaform. I have 2 users that are allow to enrich in the richclient but they are strugling with the difference between the two. The problem is that some things are only doable in the richclient such as enrich the cvl. Has I said, we can enrich something like 10000 items every year with only 2 employes that are also doing livechatting. It's good how we can get a full list of our company's products in one place. Prior to this, we had our info on different files and spreadsheet which was quite a chore to look through and find at times. Now that's it's all in one catalogue, it definitely saves time and is more efficient. InRiver is definitely recommended for businesses that have a lot of products/units they want to store in one place and be able to give access to clients/partners. It is very intuitive and easy to use. I'm not too keen personally on the style of the dashboard. It would be nice if there were options in future to allow users to choose the dashboard style. Just a couple of different preset styles would be good. InRiver is definitely recommended for businesses that have a lot of products/units they want to store in one place and be able to give access to clients/partners. It is very intuitive and easy to use. Products can be added and update when required with no difficulty. Very easy to add new products to our catalogue and updates any details to our products if needed. A fantastic tool as it keeps everything organised. The team much prefer using this compared to our paper and pen days! It has the flexibility to be a very powerful tool to use, and even works very well for small businesses. The core functionality has lots of different features and is easy to use. It's not easy to merge data from other software or sources, that could use a bit more streamlining, but it is definitely heading in the right direction. If you're a smaller operation is is recommended, it is quite affordable and can be a powerful piece of software when used for all of its capabilities. It allowed us to steer away from using Excel, and allowed all team members to access the data when they needed it. "Simple yet effective Product Information Management"
inRiver is excellent for communicating with the appropriate audience for your business. It is highly customisable for the needs of your customer base, and you are able to manage inbound and outbound product information so that your audience are able to find what they are looking for with ease. Could sometimes be difficult to integrate with other programmes and software that we were using at the time. Know your requirements for the product from the outset, so that you can optimise the functionality. Staying relevant in an incredibly competitive market, by keeping customers happy and engaged. Standardising data to input onto the site was a great addition. The ease of use is incredible. The ability to create relationships, duplicate products in the system and make minor adjustments to create variants is very handy. Our company liked the InDesign plug in and the capabilities of the digital catalogs. There is a lot of value with the InRiver system compared to what we saw in a majority of the competitors. At the moment, nothing. We have worked with our implementation partner on the project to get a solution that meets the needs of our business. Once all users are on board that may change, but to this point, things with the system and the project have gone well. InRiver allows us to get away from the spreadsheets we currently have. Also, the ability to update product data and disburse to the proper place in real time beats the old way of running data imports and sync tools to update photos, hands down! The ability to bulk upload has made the transition very nice. We are still in the process of implementing the tool, but we can see that the cost of errors will be minimized greatly, as well as a significant decrease in our catalog creation and new product time to market. The sleek and modern look and feel in comparison to the other products we demoed. The special training needed for users to use it. We were in the process of launching our ecom site and quickly realized we needed somewhere to not only store all of our content but to enrich and make it it better. As a result of implementing inriver it required us to internally look at our processes and make them better and more efficient. 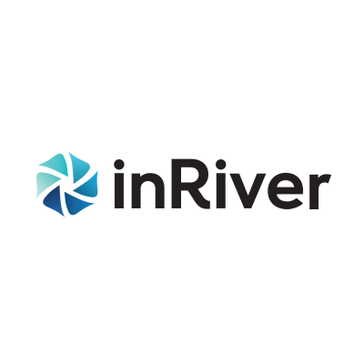 "Has the ability to be great"
We manage a lot of data for over 18,000 product SKUs, therefore InRiver is the only PIM manager we have been able to utilize which can handle the amount of information we are utilizing at any given moment. Once we were able to get the connector to work for Print capabilities, it has been even more worthy. The inability to export a number of fields, no real easy import/export functionality. Can be somewhat difficult to integrate into other solutions for everything we are trying to do. We are able to centralize quite a bit of our product information in one location which has been very important to the core aspect of our business. It's quite an intuitive tool that allows the users to update and enrich products in a fast way across the whole data model. I would prefer that the out of box system (cloud-based version) comes with the option to edit, rename, delete and have more flexibility when it comes to the search query folders. We're giving our data structure, maintain quality and making enrichment fun and ready to repurpose.
" Easy to use and adaptable"
The query system is really handy. Monitoring changes too. When using multiple "Chanel" have the ability to copy from one to another easily. Also, have a francophone community for help. Unable to see the monetary benefit at the moment, but it saved us time. That we have to involve partner for every little system tweak is not very cost effective. Most of the "everyday" adjustments could easily be handled by the customer itself. E-commerce. Established webshop containing 6.000 items during an eight month periode. Upsales and crossales made easy. I like the flexibility in the tool. It is easy to create and update the product model. The extensive API's allow you to build customized connectors and modify the Rich Client UI. That threr is no search on relations in Rich Client. Robost tool for product enrichment. inRiver PIM is really ease to use for end user, modern looking. We did not have any centralized location or way to enrich our product data. As part of our website project we started project with implementing inriver PIM as part of our product management enrichment. Easy to manage and find your way around. Clear and clean presentation. Overall a great app. Can sometimes be difficult to combine from various different sources. Don't hesitate. Great service and platform. We're able to sort and categories different products. Very easily accessible. "Powerful tool for keeping product information"
A good and stable tool for keeping texts and pictures of our products. Sometimes we lack functionality for our text editors. Usability of product and accessibility of inRiver experts. Amazon connector not active yet - will help tremendously with managing Amazon content! Unfortunately, I haven't gotten to the phase where I need to use PIM yet. Nothing at the moment as it's still early days. We're giving our data structure, maintain quality and making enrichment fun and ready to re-purpose. Nothing so far. Compared to earlier solutions this solve all our wishes..
Used to have severalsystems and spreadsheets with information. Now all these are in our PIM system, i.e. article information, documents, images. * We monitor all inRiver PIM reviews to prevent fraudulent reviews and keep review quality high. We do not post reviews by company employees or direct competitors. Validated reviews require the user to submit a screenshot of the product containing their user ID, in order to verify a user is an actual user of the product. Hi there! Are you looking to implement a solution like inRiver PIM?